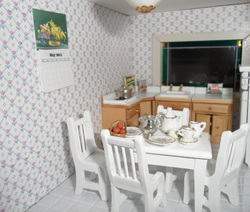 After working on dollhouses and miniatures for years, here are some of my AH-HA moments. I had an "Ah-ha!" moment trying to make perfume bottles from beads and jewelry findings. I always had trouble keeping the beads and findings straight when trying to align them. I finally realized that I could stick a little pin through the openings while the glue sets and the bottles came out perfectly straight! The pin is stuck in a piece of cardboard, but styrofoam would probably work better. 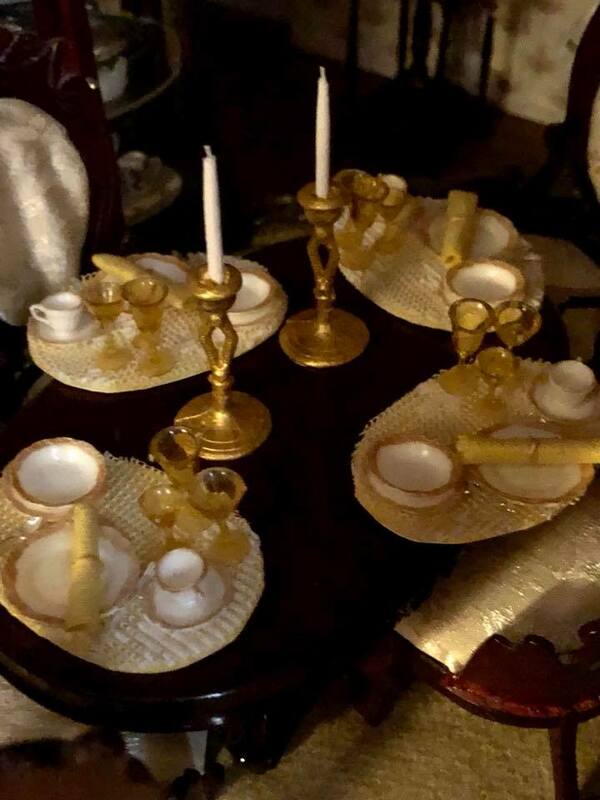 These candles were made from toothpicks painted white. 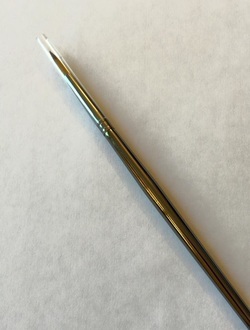 The wicks are just 2 strands of floss glued together, then glued to the tip of the toothpick. The little clear plastic protector on paint brushes can be cut into sections making great drinking glasses. Use needle nose pliers to form Metal earring backings into hooks to hang a robe on the back of the bathroom door; a plant; or suspend curtain rods. Curtain rods and shades can be mode from bamboo found in bamboo placemats. 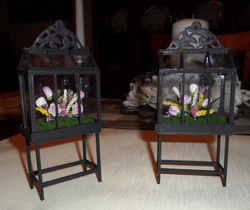 I saw a conservatory in a magazine and thought I'd try my hand at making one using basswood strips, jewelry findings, and some little flowers. The "glass" is actually the plastic covering found in those see-through presentation folders. 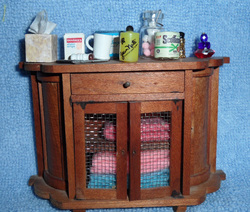 Craft stores sell tiny wooden blocks with holes in the center. I guess they are designed to be used for necklaces, but I've found they are perfect for little tissue boxes. 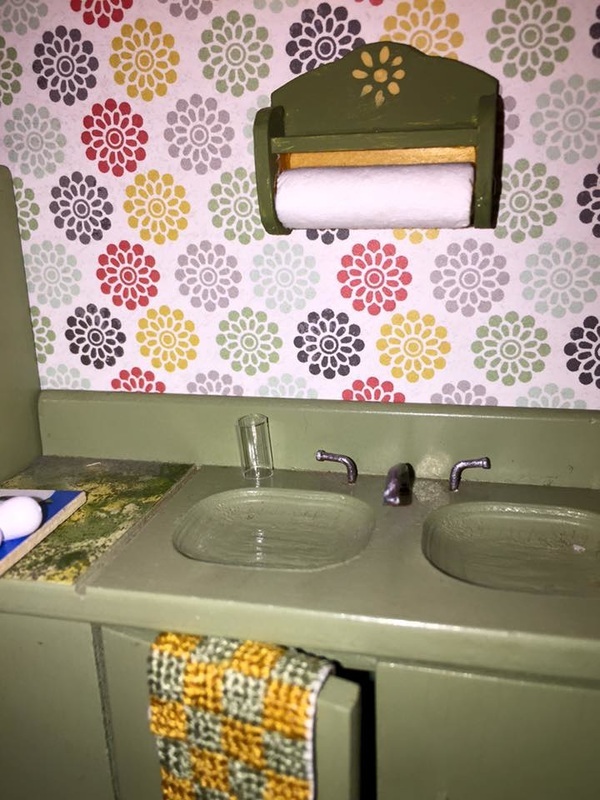 I cover the blocks with tiny print wallpaper or paint them and stuff a little square of tissue in the top and you have a miniature tissue box. The towels are actually little cut squares of felt. 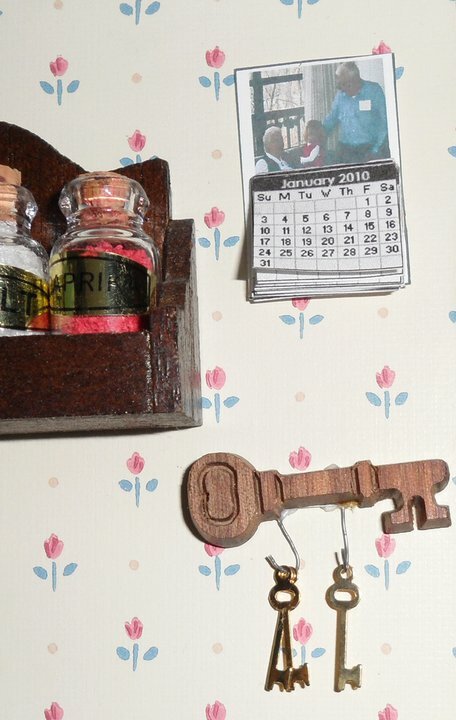 When I build a house, I try to include a miniature calendar with the year the house was built. The calendar can be easily created and printed on a computer. This is a great way to record the date for future generations. Sometimes I add a personal family photo to the calendar as shown below. Make a key holder The key holder shown above was made from a little item I found at AC Moore. Hide the key: In the real world we hide our keys. That can happen in the miniature world as well. 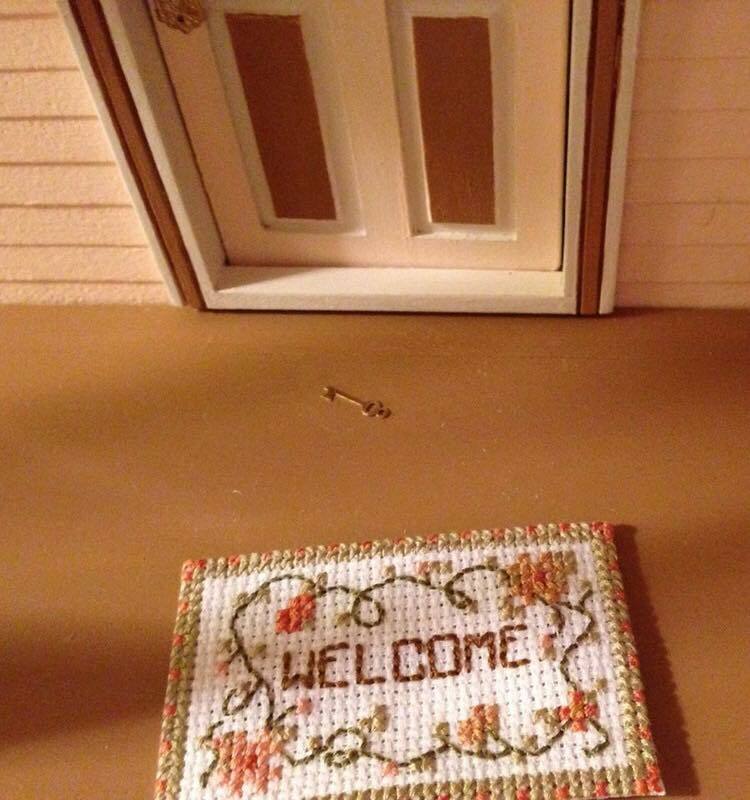 Hide the key above the door on the frame, or glue it on the porch and hid it under the doormat. Know what makes great lampshades? 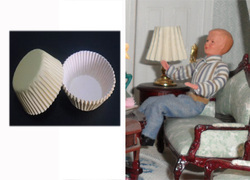 Paper cupcake liners! 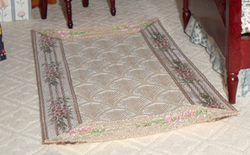 This rug is made from a ribbon and a piece of rectangular piece of fabric. The pieces are then glued to a cardboard backing. 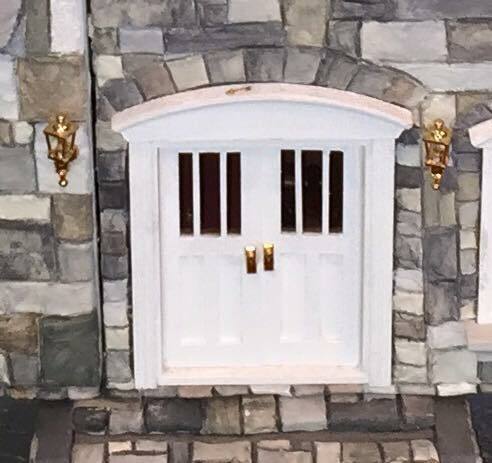 I saw some really nice luggage pieces at a recent dollhouse show, but so expensive! I thought I'd try my hand at it, although the results are nowhere near as nice as the professionals' work. I cut a styrofoam sheet into small rectangular shapes, used small blocks of wood to create the retangular pieces of luggage. 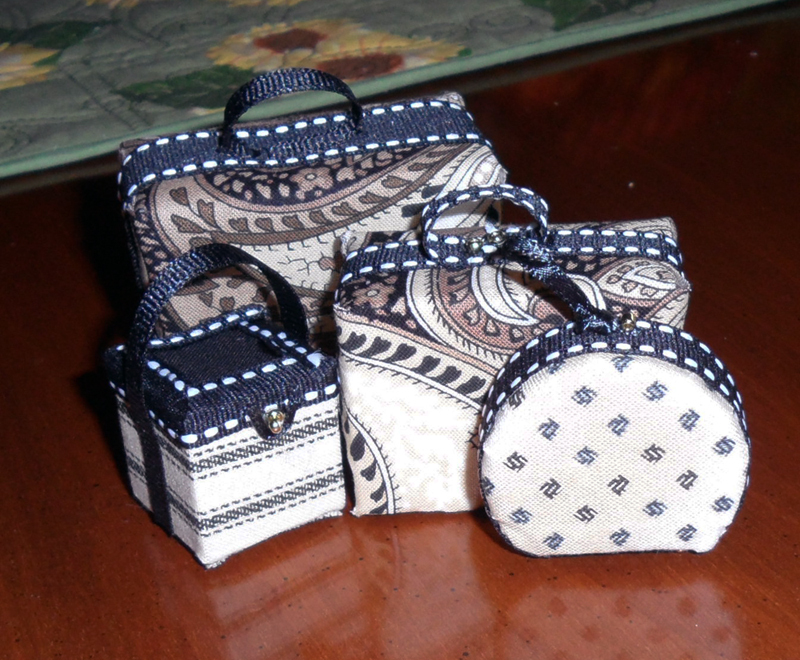 My big "Ah Ha" moment came when I pondered how to make the circular overnight bags. 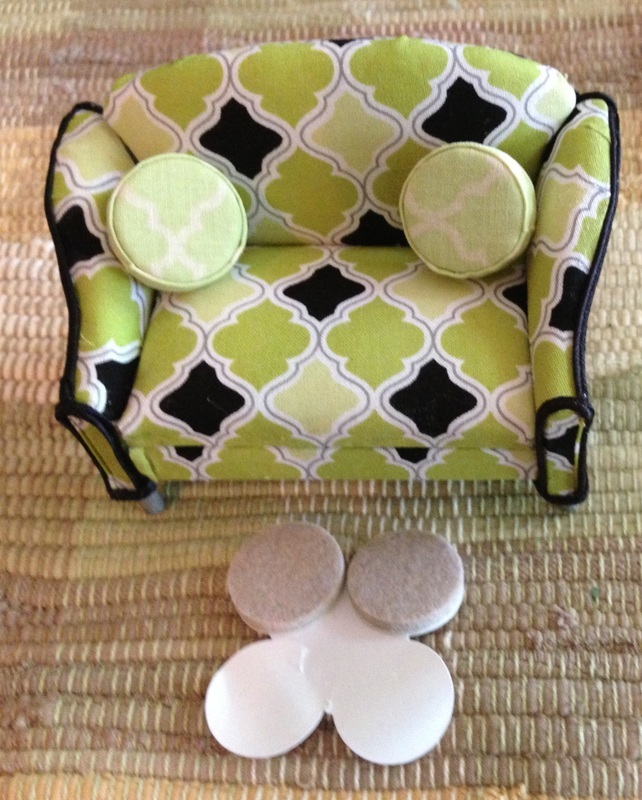 For those I used those little felt circle pieces you place under furniture to prevent damaging hardwood floors. The felt circles already had an adhesive on them, so I cut a small piece off the ends and put three together. I then covered all luggage pieces with cloth and trimmed with ribbon. 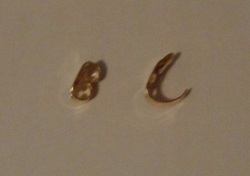 Small gold beads were used as accent pieces, and small feet on the bottom of each piece were made from four of the gold beads.